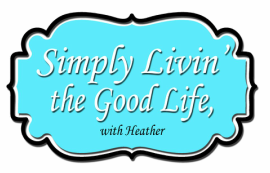 I'm so happy you found your way to Simply Livin' the Good Life! I believe we are all so unique and all have our own stories to tell. We all have different interests and things that make our lives our own, and I am definitely a prime example. I consider myself a giant crazy cornucopia of interests and talents! I can't even describe the joy I get in helping others and introducing them to new things. So I decided to put all of these things together in one place, for myself and others to enjoy. So what do I all have here? Recipes, humor, seasonal fun, quotes & inspiration, DIY projects, health & fitness, and so much more. I will update this all the time to keep you all as entertained as I am. Now go…explore and have fun! Check Out My Most Popular Pinterest Boards!